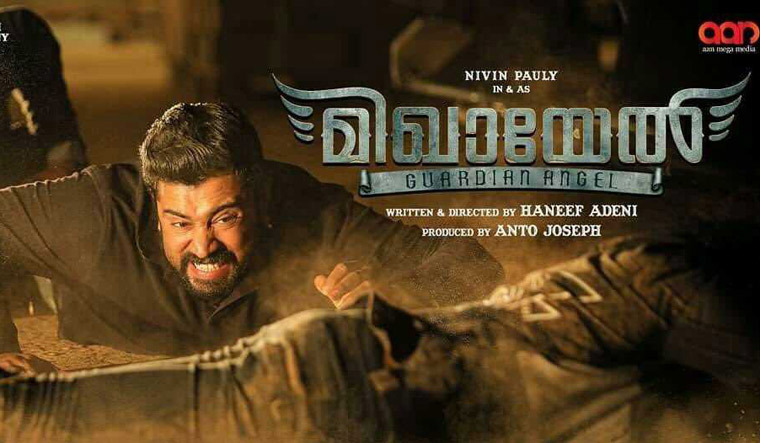 Like archangel Michael of the Bible, Nivin Pauly in Mikhael is a healer, protector and saviour. As the credits begin, we are introduced to the battle between archangel Michael and Satan which gives a hint of things to come in the movie. Haneef Adeni, writer and director of Mikhael, has shown his deft while coming up with some innovative means of murder. A doctor, Mikhael John (Nivin Pauly), puts his medical knowledge to use when it comes to eliminating his enemies, and the martial arts he learnt at a young age when beating up the baddies. The movie constantly deals with the question of right and wrong. Mikhael is willing to go to any extend to protect those that he loves. He, however, isn't the one to strike first. He becomes the protector of the family and decides to put to use his avenging powers only when his family is threatened and there is nothing and no one else he can turn to. His family unwittingly gets into a feud, and we are given more of the villain Marco Jr (Unni Mukundan) in the second half. Unni Mukundan embodies the sum of all evils and gets a considerable screen presence. You, however, tend to question Mikhael's sense of morality when he takes matters into his hands and decides that death is price that his enemies pay for their sins (papathinu kooli maranamanu). J.D Chakravarthy and Suraj Venjaramoodu play important roles as the ones who help out Mikhael when he and his family are in distress. Siddique plays George Peter, a fearless business man. Manjima Mohan as Mary has very little screen presence. The narrative takes recourse to frequent flashbacks, but the director makes sure that the audience do not lose track of the happenings as he switches between the past and the present. There is a funny mention of how doctors treat their patients to achieve their ends. However, Mikhael seems to get all the lenience in the world as he hardly ever shows up for work. Gopi Sundar's background score fits well into the proceedings; however, there isn't much novelty and you are left with a sense of deja vu while listening to the score.